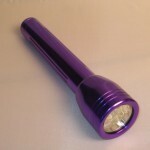 PRODUCT DESCRIPTION: Small device which uses 3 "C" batteries to light up 14 high powered black LED's. This model is much more powerful then the ECONOMY BLACKLIGHT and can display targets well over 10 feet away. If you plan on using this tool a lot or have a need to see far away targets, the deluxe unit will be worth the investment. Black light will be reflected by animal urine and droppings as well as other biological fluid. 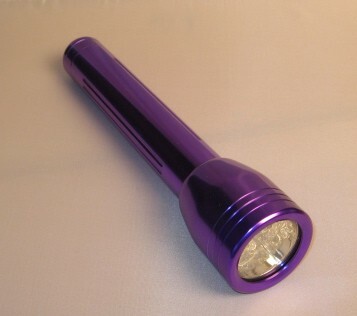 Use black lights to locate rat trails, bat roosting sites, animal pathways, scorpions and other insects. WHERE TO USE IT: Attics, living areas of any structure, garages, crawl spaces, foundations, yards, trees, etc.